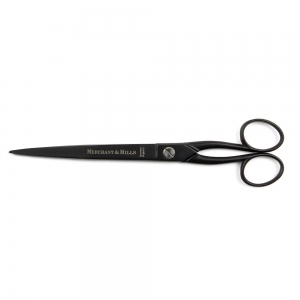 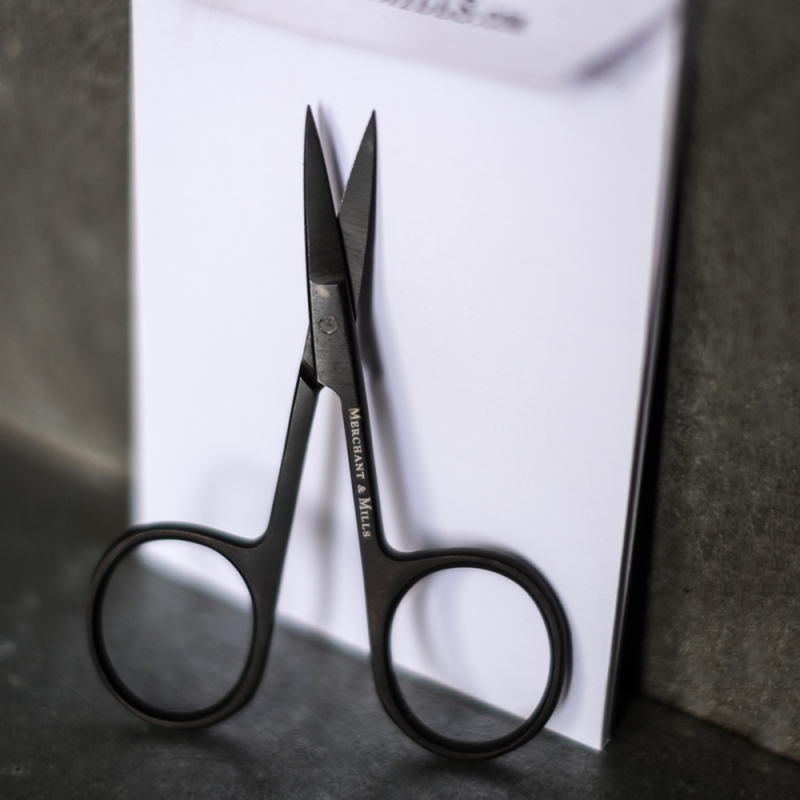 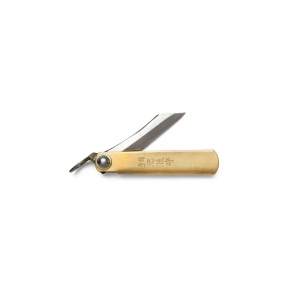 Wide bow scissors by Merchant & Mills. 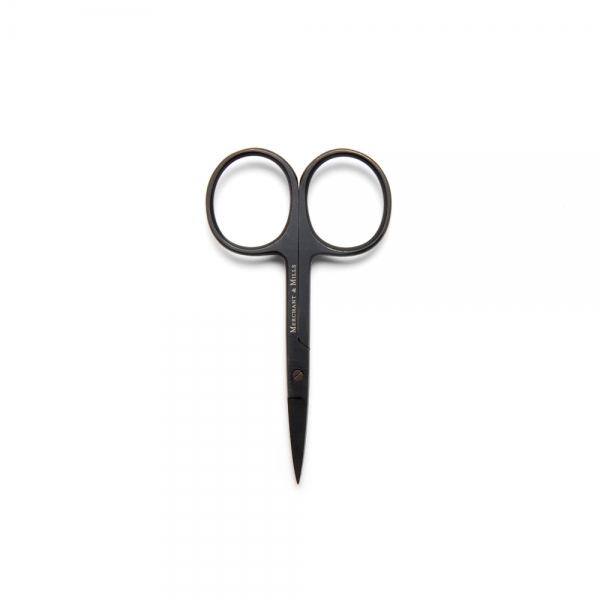 Small and precise in a deep, permanent black steel. 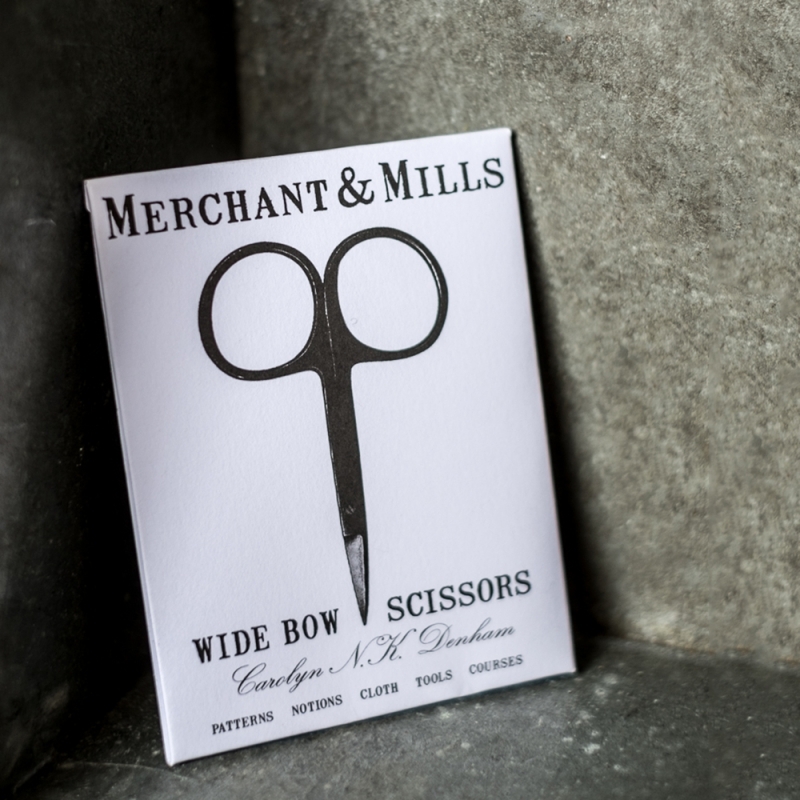 Wide bow scissors by Merchant & Mills. 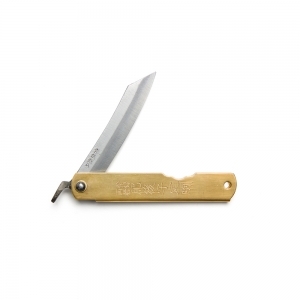 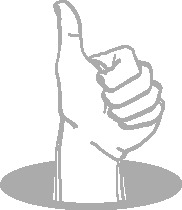 Tougher than old boots and supremely sharp and black. 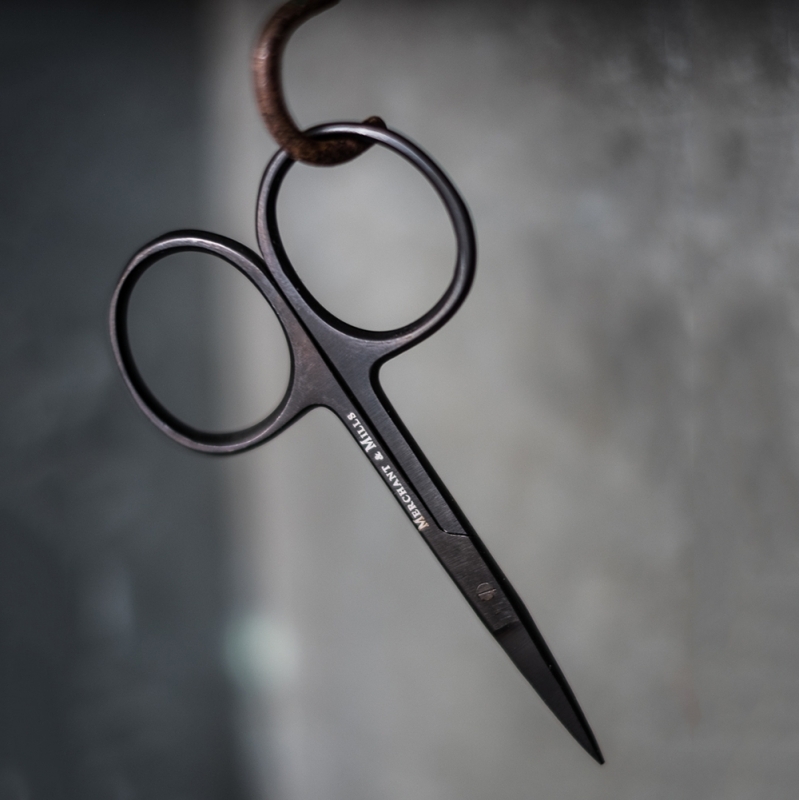 Small and precise in a deep, permanent black steel.